At the Canmaker Summit in early November 2016, ArcelorMittal presented our new 0.18 mm steel for beverage cans, and received an award in the event’s Sustainability category. ArcelorMittal’s new steel beverage can enables canmakers to reduce the thickness of a beverage can’s mid-wall to just 57 µm, half the thickness of a human hair, without affecting mechanical performance. ArcelorMittal packaging experts estimate that an additional 20 percent reduction in can weight is achievable in the coming years. That’s on top of the 40 percent weight reduction achieved over the past three decades. Steel is the only metallic material that can be utilised in beverage cans at 0.18 mm. ArcelorMittal has already produced beverage cans at this thickness in our labs and the steel is ready for industrialisation. During the Canmaker Summit 2016, ArcelorMittal drawn and ironed (D&I) tinplate beverage can with a starting gauge of 0.18 mm was recognised with a bronze medal in the Sustainability category. APEAL, the European association for the steel packaging industry, has launched a new video outlining steel’s contribution to the circular economy. 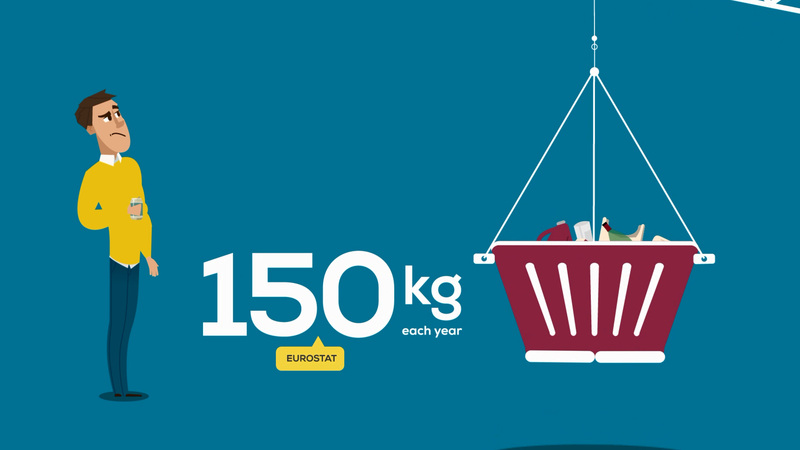 The release of the video animation is timely given the European Union’s recent Circular Economy Package. “The aims of the Package are truly in line with the benefits of steel for packaging,” notes Stéphane Tondo, ArcelorMittal CMO for Packaging and Energy and president of APEAL.